In a smash spot against a weak Eagles secondary, Michael Thomas could break the single-game slate. Who else should you target on Sunday afternoon? In the Saturday Night slot on Wild Card weekend, the 9-7 Philadelphia Eagles travel to take on the 13-3 New Orleans Saints. For the postseason, FanDuel provides a variety of contests, including single-game slates, allowing football enthusiasts to stay involved in the action. For those unfamiliar, single-game slates feature five flex spots with identical scoring to the main slate. However, kickers are included in these contests and there is an "MVP" roster slot. The MVP receives 1.5-times his total fantasy points, making this spot crucial. Bookmakers currently peg the Saints as 8-point favorites with a 51-point over/under. With a projected high-scoring affair in store, here are the notable matchups to target on this slate. Drew Brees ($16,500): Priced as the most expensive option on the slate for good reason, Drew Brees has excelled in his age-40 campaign. 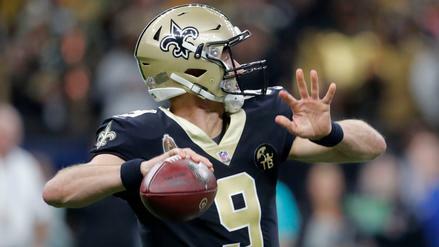 With 3,992 passing yards, 32 touchdowns, and only 5 interceptions, Brees remains the steadiest option on this slate. He also faces off against a weak Philadelphia secondary that ranks 19th in pass defense, per our schedule-adjusted metrics. Decimated by injuries, this unit has allowed the second-most passing yards to opposing quarterbacks this season (4,612). With a slate-high 29.50-point implied team total, Brees is the strongest play in this game. Alvin Kamara ($15,500): Slotting in just below Brees, Alvin Karama presents an intriguing option in the MVP slot. Averaging 17 touches per game in his last four contests, Kamara should be fresh since he's coming off a multi-week rest in preparation for this contest. The Eagles rank 15th in run defense, per our metrics, but have shown vulnerability to pass-catching backs in recent weeks. Over the last four games of the regular season, the Eagles allowed the third-most receiving yards to enemy back (239), playing right into Kamara's hands. He has a huge ceiling and is firmly in play as an MVP choice. 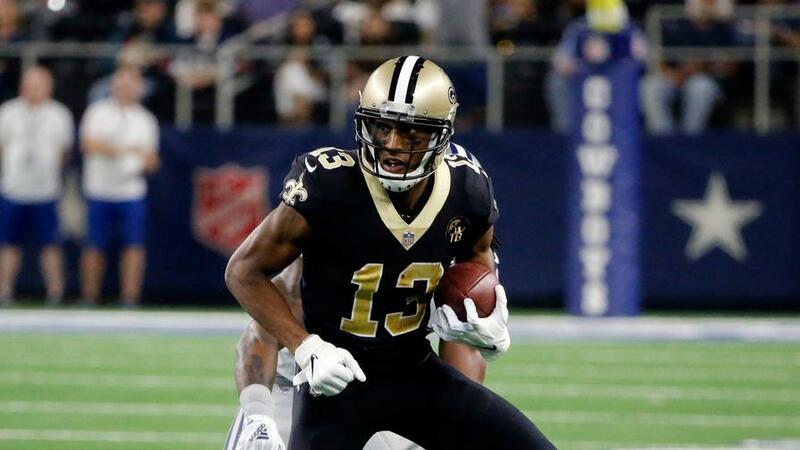 Michael Thomas ($14,500): The preferred stacking partner with Brees in this contest, Michael Thomas has averaged 10.5 targets per game in his last four contests. Noted above, the Eagles have struggled to contain opposing passing games this season. 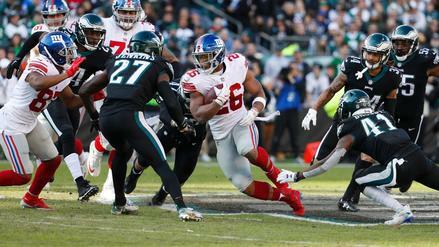 Their secondary allowed the second-most yards to receivers in the last four games of the regular season (778), along with an additional 143 to Allen Robinson on Wild Card weekend. With a massive 51.0-point over/under and a 29.50-point implied team total, Thomas looks like a solid option at the top of the slate. Zach Ertz ($12,500): Surely to go under-owned, Zach Ertz finds himself in a bounce-back spot after flopping for 15 yards on 2 catches when these teams met earlier this season. Ertz led all tight ends in 2018, averaging 9.7 targets per game. This strong usage continued into Wild Card Round, where Ertz drew an additional seven targets. However, the Saints allowed the fourth-fewest receiving yards to tight ends throughout the 2018 season (619), contributing to Ertz's poor showing earlier this year. Ultimately, Ertz is bet on talent despite the tough matchup, and said matchup combined with his hefty salary should scare away the masses. Mark Ingram ($10,000): Splitting time with Kamara, Mark Ingram has played at least 40% of the Saints' snaps in their last four competitive games (excluding Week 17). In these games, Ingram has averaged 12.25 touches per game. The Eagles have played up-and-down run defense this season, ranking 15th versus the rush, per our metrics. However, favored by 8.0-points, Ingram projects to play with game script on his side throughout this contest. This could create a scenario in which Ingram approaches 20 touches. The last time these teams met, Ingram carried 16 times for 103 rushing yards. Golden Tate ($9,000): Finally making his way into more of a full-time role, Golden Tate's snap share increased to 61.8% last week. On this increased playing time, Tate's eight targets ranked second on the team, behind only Alshon Jeffery's nine. The Saints have played average pass defense, sitting 17th according to our metrics, but have struggled to defend opposing receivers this season. Over the course of the regular season, no team allowed more yards to opposing receivers (3,345) than New Orleans did. Tate simply remains too cheap in relation to his increased playing time. Ted Ginn Jr. ($7,500): Coming back from a multi-week injury, Ted Ginn returned to the lineup in Week 16, only to sit out Week 17 in preparation for the playoffs. In his Week 16 appearance, Ginn immediately stepped into a 41% snap share and recorded 8 targets (second-most on the team). As noted above, the Eagles have been destroyed by opposing receivers in recent weeks. Seemingly the Saints' number-two wideout, Ginn looks like a solid value play and will likely be fairly popular. Keith Kirkwood ($7,000): Similar to Ginn, Keith Kirkwood is in consideration as a cheap attachment to Brees and the New Orleans' passing attack. Prior to Week 17, when the Saints sat a number of starters, Kirkwood's snap share had risen to 58% in Week 16. Kirkwood ran 67.7% of his routes from the slot in that game and saw 4 targets. With Ginn just $500 more, Kirkwood is unlikely to see significant ownership, and he's a cheap way to get exposure to the Saints. Matthew Gajewski is not a FanDuel employee. In addition to providing DFS gameplay advice, Matthew Gajewski also participates in DFS contests on FanDuel using his personal account, username mgajewski. 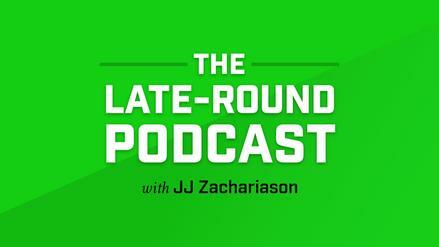 While the strategies and player selections recommended in his articles are his/her personal views, he/she may deploy different strategies and player selections when entering contests with his/her personal account. The views expressed in his/her articles are the author's alone and do not necessarily reflect the views of FanDuel.